This, my friends, is how you want to use that rhubarb you've been seeing at the market lately. It's a syrup, sure, but I'd venture to guess it's a syrup unlike any you've tasted. 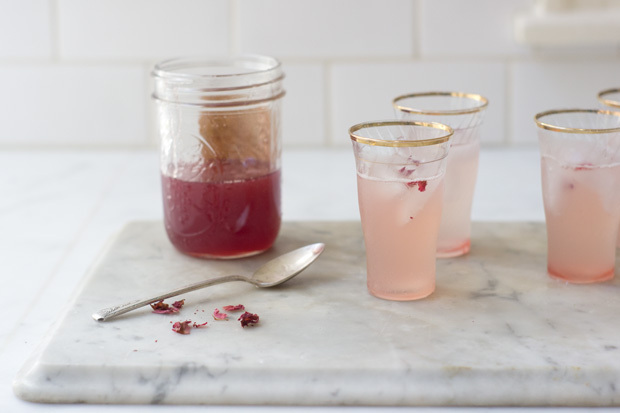 It has a lot going on, tartness from the rhubarb, tang from fresh lime juice, a backdrop of sweetness that's anything but shy, and the wildcard finish - rosewater. 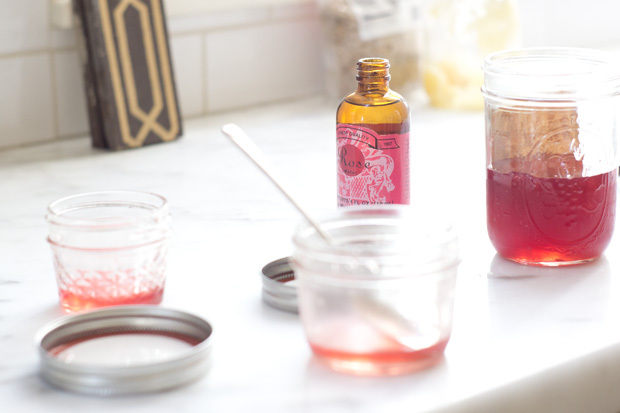 The resulting syrup is strong, and lovely, and a kiss of it is just what a bowl of yogurt, or glass of soda water needs. And it really couldn't be simpler to make. 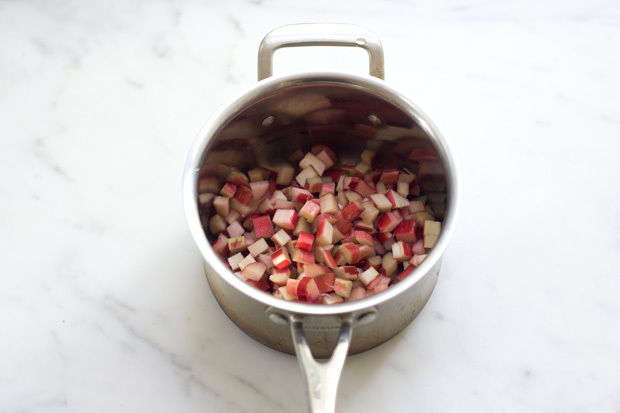 Chop a few stalks of rhubarb, toss with sugar, then let it sit around until everything settles into a cold, sweet stew. 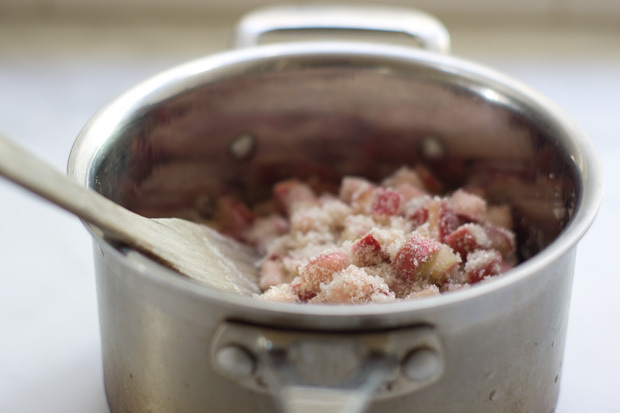 Fire up your burner, and simmer until the rhubarb breaks down, then strain out the solids. You're left with a vibrant rose-hued liquid. When you cook this down with a bit of fresh lime juice you end up with a fragrant, beautiful gem of a syrup. 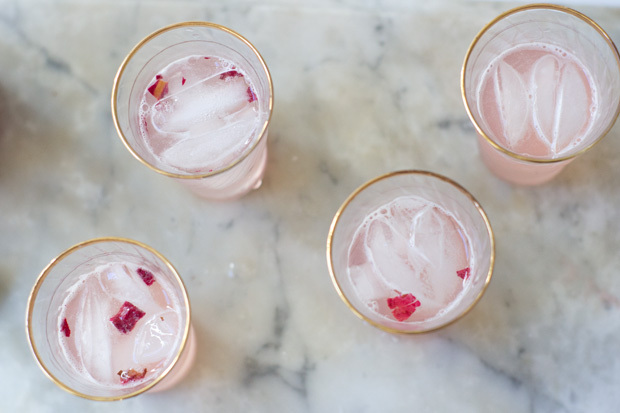 A finishing splash of rosewater is the final surprise - the je ne sais quoi factor. HS: I use lime here, I think it really adds something, a needed edge. That said, lemon is quite nice as well. 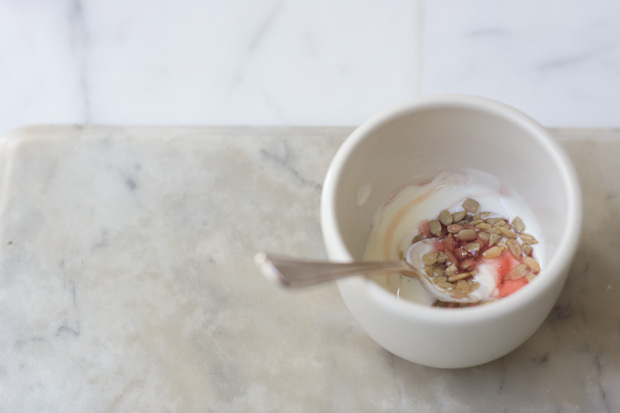 Combine the rhubarb and sugar in a medium, thick-bottomed saucepan. Stir well, and leave for 45 minutes or so (unheated), stirring now and then. Add the water and bring to a gentle simmer over medium heat, stirring until the sugar dissolves. Continue to simmer for another 15-20 minutes, until the rhubarb starts to break down. 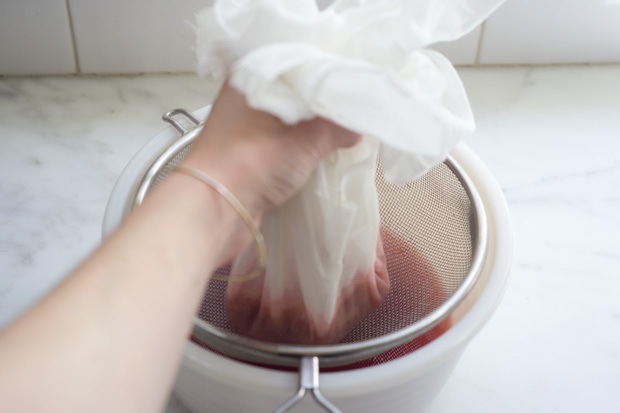 Carefully strain into a bowl through a cheesecloth-lined strainer. Transfer to a clean saucepan, stir in the lime juice, and bring to a simmer. Let simmer over medium heat for another 15 minutes or until the syrup has reduced quite a bit and thickened. Remove from heat and allow to cool completely. Makes one medium jar of syrup. And orzo salad packed with nutritious ingredients - asparagus, almonds, feta, sprouts, broccoli, cucumber, and a zesty lemon dressing.